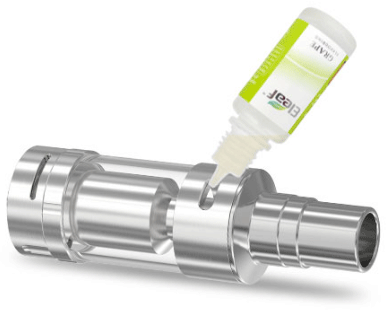 The Lemo 2 is the advance version of the well-known Lemo series atomizers due to its new innovative design of a side e-liquid fill hole and the use of PEEK(the well-known high heat and corrosion resistance material) of insulating piece. 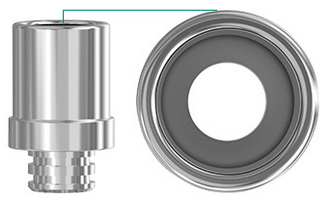 Vaping becomes safer and more stable, and no more needs of detaching the atomizer during refilling. The fill process becomes easier and leakage can be avoided. The inheritance of RBA head also maximizes the fun of DIY experience and could bring cloud vapor production for you. 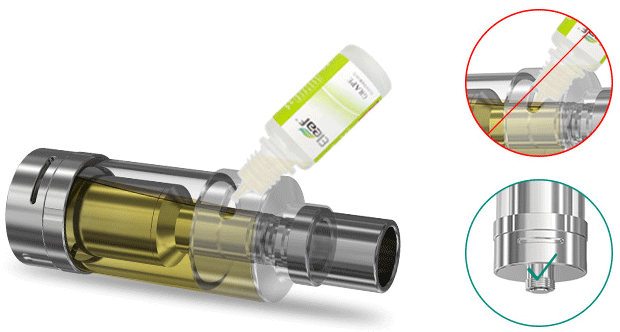 One can easily refill liquid into atomizer tube through the side e-liquid fill hole without detaching the components which is more convenient and can avoid leakage. PEEK(poly ether ether ketone)——a kind of special polymer material which is famous for the high heat and corrosion resistance. We use PEEK as the material of insulating piece inside RBA head so as to provide a safer and more stable vapor for customers. The air-inlet hole on Lemo 2 is enlarged compare to the previous version. In this case, huger vapor could be enjoyed while the device will not be too hot. One can easily rotate the regulation cover to adjust the airflow, the more the slot is covered, the less the airflow is. 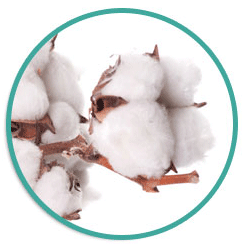 Pure organic cotton is used as the wick of RBA head, people could enjoy a more pure flavor when vaping. Cloud vapor production is easily produced by Lemo 2 and the extended size of mouthpiece could make the inhale more comfortable. 1. 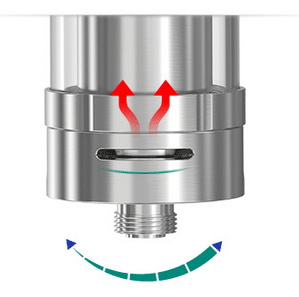 Rotate the side e-liquid fill hole cover counter-clockwise to expose the fill hole and then slowly refill the e-liquid into glass tube. 2. After the liquid is filled, rotate the side e-liquid fill hole cover clockwise to close the fill hole. Tips: Parallelize the atomizer and then refill it. In this case, more liquid could be injected into the tank. 1.Air-inlet hole should be closed during refilling process. 2.Make sure the e-liquid level is between 10%-90% and leave a small air pocket in order to avoid leakage. 3.Do not put the syringe needle directly into liquid in the tank during refilling, or it may lead to leakage. 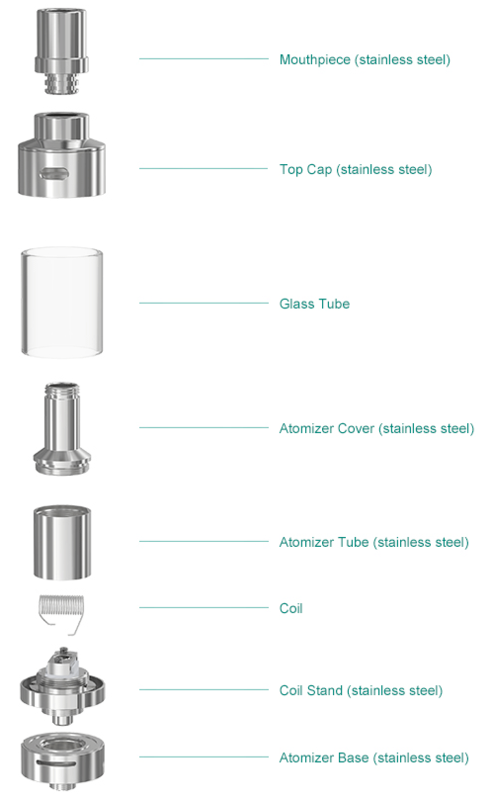 The Lemo 2 atomizer is specially designed for the iStick Battery( 30W, TC40W, 50W, TC60W, 100W). You can enjoy a better vapor from this combination.